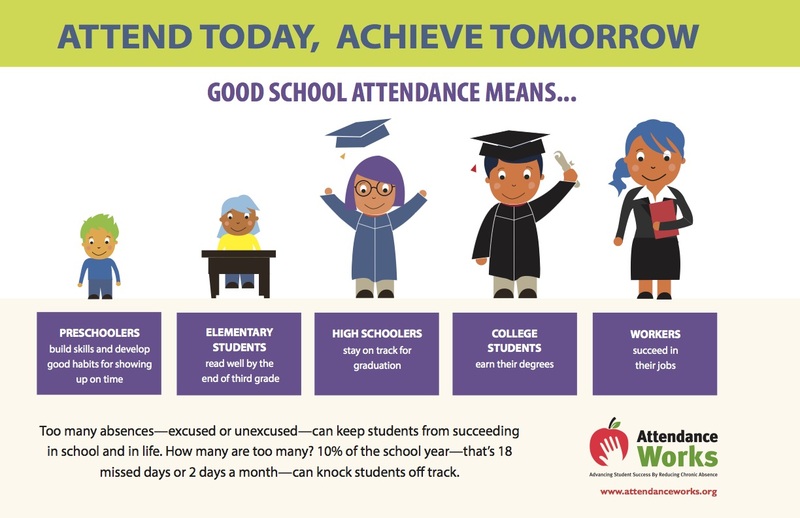 Attendance Works has developed a variety of images on posters, banners, badges and coloring sheets that convey the importance of attendance to student achievement that can be used in preschool, elementary and secondary school. 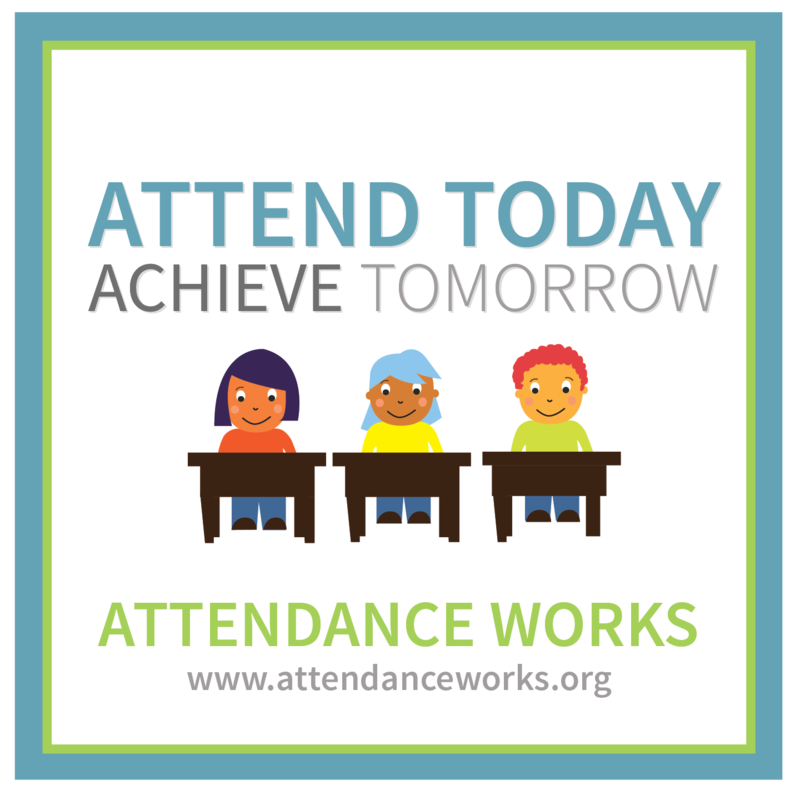 Scroll down the page to find what works best for you students. If you wish to add your logo to the images, please read our usage policy and customizing instructions. 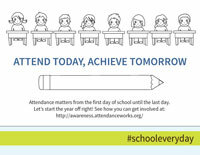 Download this banner which features a generic slogan to put on display all year round. 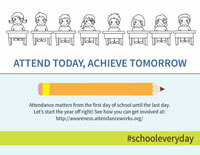 Thanks to our friends in Oakland for the use of their catchy slogan: Attend Today, Achieve Tomorrow! Download and print this 11 x 17 in. 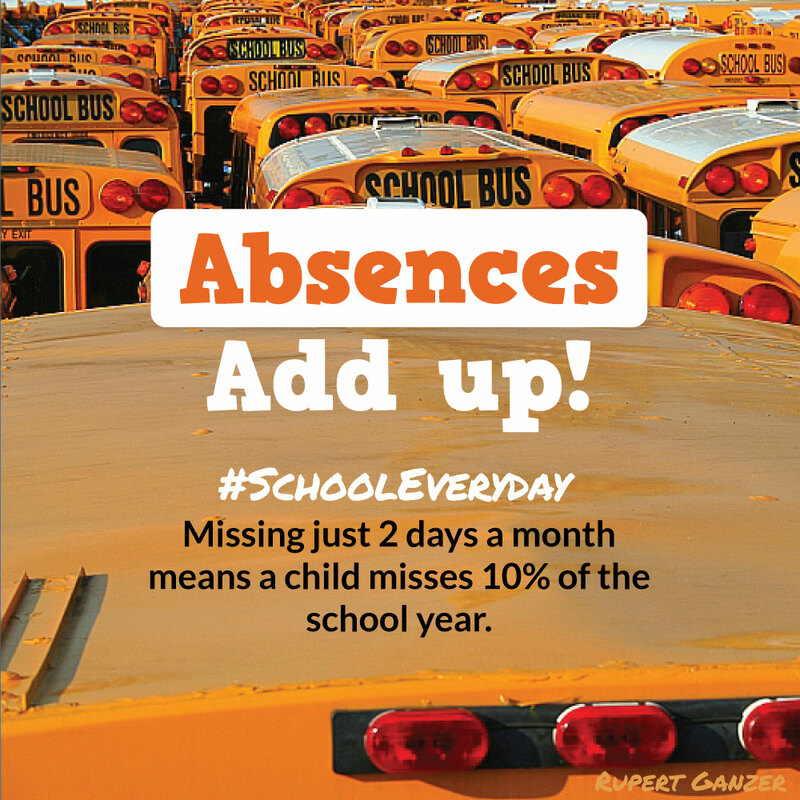 poster to use year round in schools, businesses and doctors’ offices. If sending to a professional printer, use this version. Download and print the poster in Spanish. 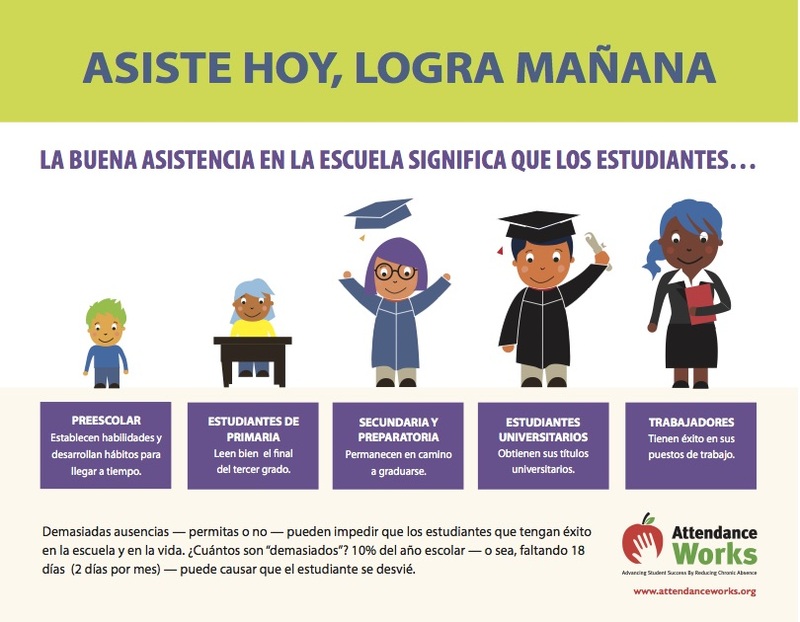 Download and print the poster for pre-K.
Download and print an 11×17 version for pre-K.
Download and print the poster for pre-K in Spanish. Download and print the poster in Arabic. This banner features a generic slogan to put on display all year round. 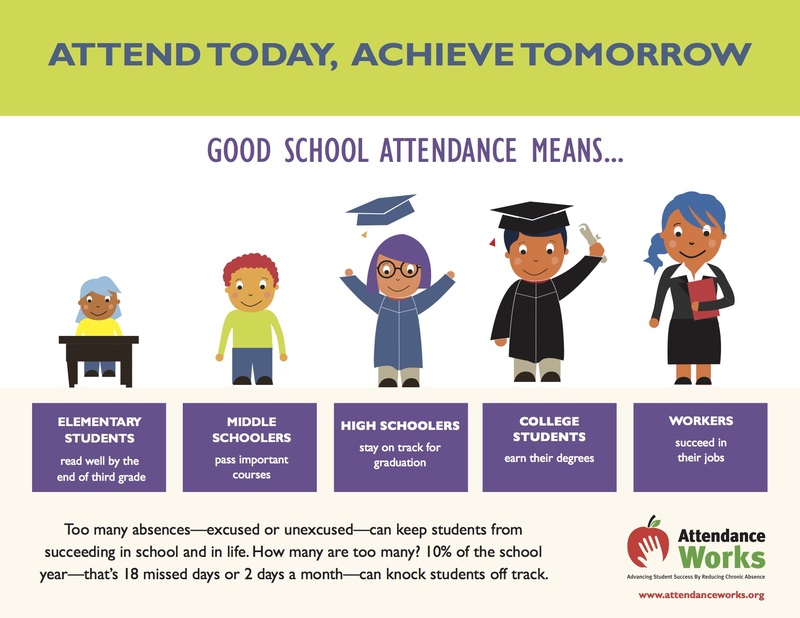 Thanks to our friends in Oakland for the use of their catchy attendance slogan, “Attend today, Achieve Tomorrow” and to the Ad Council for “Don’t let absences add up.” This is a standard large poster size that can easily be printed at your local Staples for around $50. You can upload and print the banner directly at this link. Click here or on the image to download the banner. This is a standard large banner size that can easily be printed at your local Staples for around $50. You can upload and print the banner directly at this link. Click here or on the image to download the banner. Middle/High School banner in Spanish. Download and print these coloring pages for kids! Download and print our badges as a 4.8″ x 4.8″ window decal. You can print the decal at your local Staples or upload the design online to pick up. Download more badges in English and Spanish. 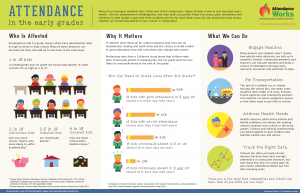 Click here to download our Attendance in the Early Grades infographic in English and Spanish.